That’s right faithful readers, the Dr. Dog show March 27th at the Ryman Auditorium, with fellow Philadelphian indie rockers mewithoutYou, we’ve been telling you all about since December is almost upon us! Tickets are still available for $38.57, but don’t delay, because this puppy will most likely sell out. However, if you’re broke, or just feeling lucky, here is your chance to score two tickets 100% fo’ free! Just click on after the jump for more info on the bands AND check the bottom of the post for your chance at tickets. Possibly born in the wrong decade, the members of Dr. Dog have produced some of the best lo-fi psychedelic rock, and Beatles inspired harmonies since the ‘60s. Over the last ten or fifteen years the Philly born band has put out an impressive catalog, including their most recent release, a live album we already told you all about. Known for their maddening tour schedules, blow out fest performances (Roo 2014 anyone? ), and killer live show, Dr. D is band you need to see in person to truly appreciate. Good news is you’ll never have a better chance than when they take over the Ryman in March, so be there! Doctors orders. Spoken word poets, and free wheeling art rockers mewithoutYou are bringing extra love, from the city of brotherly love to Nashville’s “Mother Church”. With a new LP is the works, to add to a growing catalog of contemplative indie rock, the band hopes to expand minds and gain new fans as they tour with Dr. Dog. Have a taste of the goods below, and get there early to get the most music possible for your hard earned dough. A winner will be announced via email on Friday, March 13th at 12 p.m. CST, and will receive one pair of tickets. Good luck! Win Tix To Dr. Dog At The Ryman! 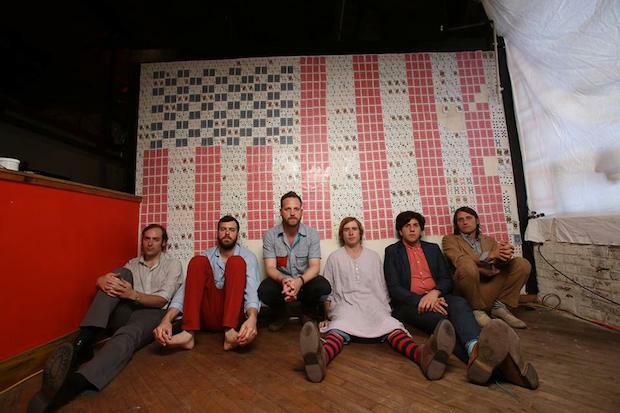 Dr Dog and mewithoutyou will perform March 27th at the Ryman Auditorium. The show is All ages, begins at 8 p.m., and tickets are available to purchase starting for $38.57. Sigur Rós to Perform in Nashville | 9.27 @ The Woods! Albert Hammond Jr. Performs “Losing Touch” on ‘Fallon’ | Catch Him Sept. 30 at Exit/In!